The South Rim Trail is tougher and steeper than the North Rim Trail; the first two miles were a killing incline. I felt as though my heart would explode; I was so out of breath. We needed long stops to gain normalcy. 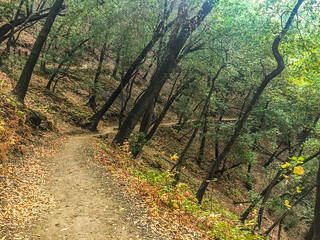 The hike after the Sycamore Switchback Trail/South Rim Trail fork was more flat and pleasant. We started the hike from behind the Youth Science Institute. The incline started right from the beginning and there was no respite until the Sycamore Switchback Trail fork. We faced the elevation of almost the entire trail in the first two miles, after which it was mostly flat or a downward slope. 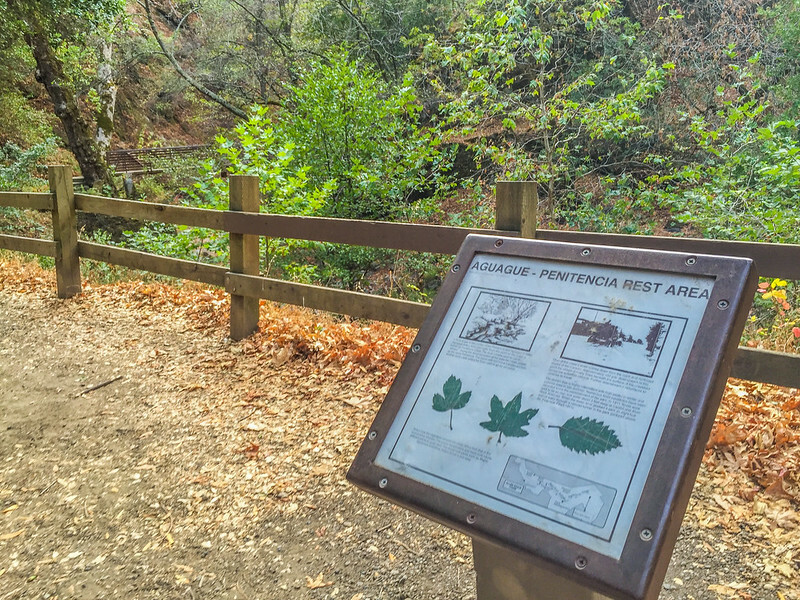 The Aguague-Penitencia Rest Area is one of the landmarks on the South Rim Trail. 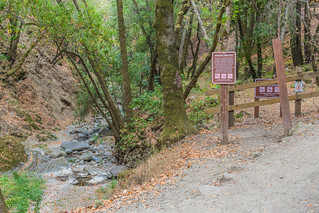 On its easternmost point, the South Rim Trail coming from the south, crosses the Penitencia Creek; this is the point where the South Rim Trail transitions into the Penitencia Creek Trail. This is also the point where the creek forks into the Upper Penitencia Creek and Arroyo Aguague. 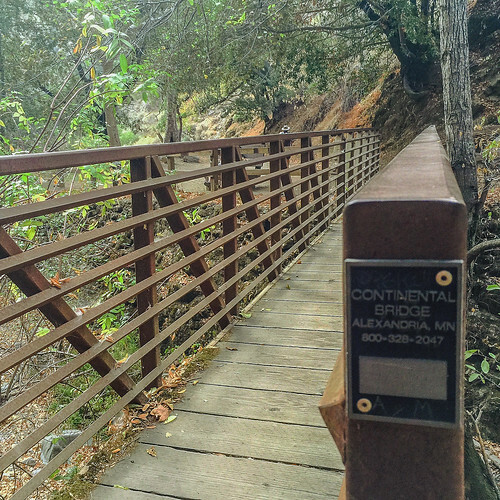 There is a wooden-planked steel bridge to cross the Penitencia Creek. 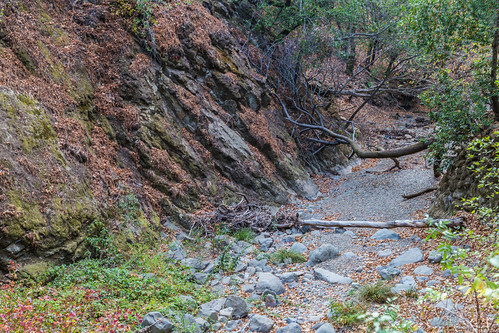 With the California drought, the creek is dry for most part. There is a nice, shaded area with a bench for resting on both ends of the bridge. 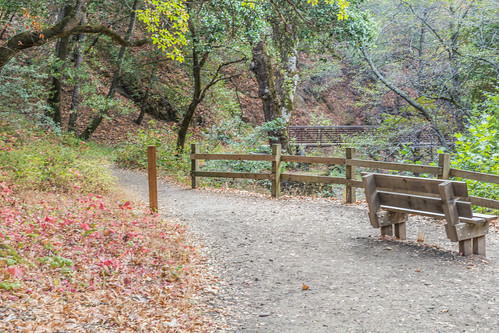 One could just hike up to this point and spend some peaceful, leisure hours. 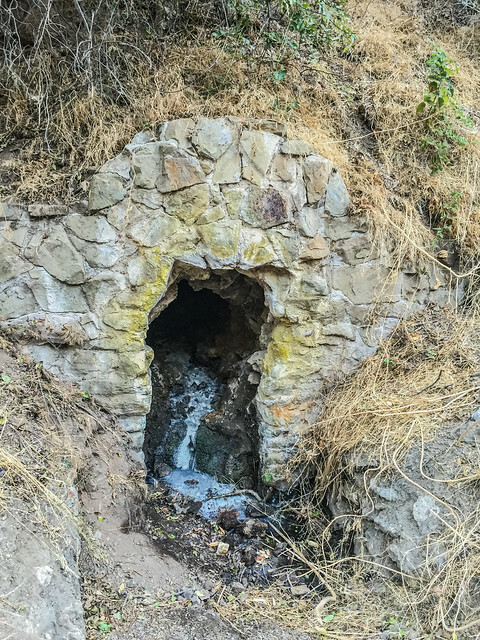 The eastern part of the Penitencia Creek Trail boasts of mineral springs, now all dry and non-existent and smelling of sulphur. The stonework surrounding the springs have turned yellow with the chemical residues. Interestingly, these mineral springs were well-known for health benefits, so much so, that people from all over the country were coming to visit this “health resort”. “Many of the springs were enclosed in stonework grottos“. Spotted this one right at the end of the trail. 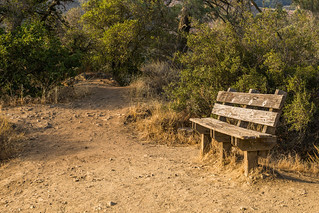 There were one or two folks on the trail but I guess there is usually less crowd on Sundays. That’s us, after the hike! 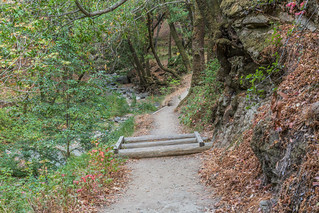 There is an interesting story behind how the Alum Rock Park got its name. 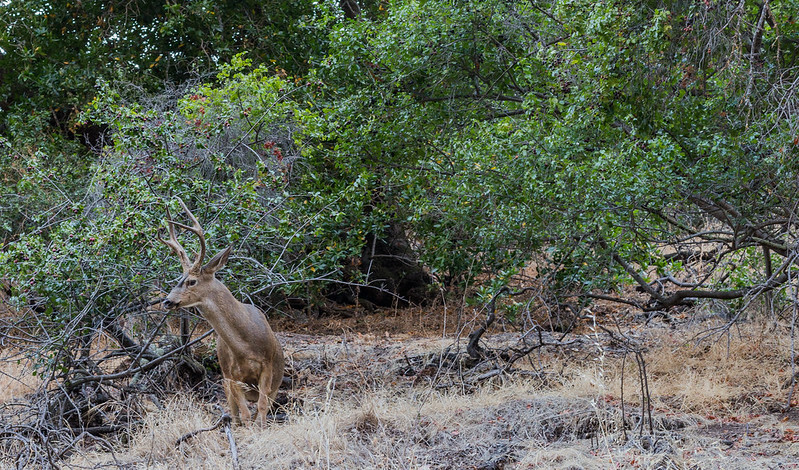 For the South Rim Trail, we parked near the Youth Science Institute (15289 Alum Rock Falls Rd, San Jose, CA 95132). 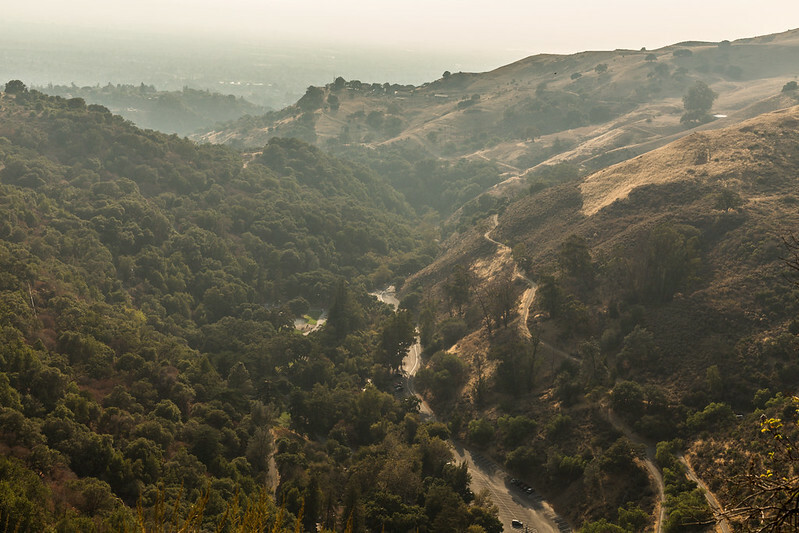 This is the last parking lot in the Alum Rock Park.